ATTENTION NATURE LOVERS! 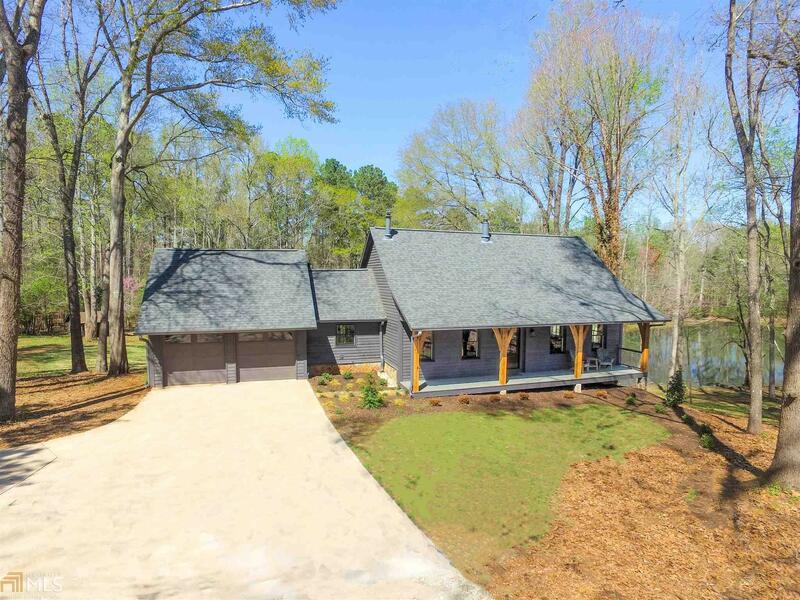 INCREDIBLE "FARMHOUSE STYLE" SHOWPLACE COMPLETELY RENOVATED WITH DESIGNER TOUCHES THRU OUT + BARN, SPARKLING POOL AND MAJESTIC 7.4 ACRE WOODED "PARADISE" SETTING WITH IT&apos;S OWN STOCKED POND! You will fall in love with the soaring 22&apos; cedar lined ceilings, hand hewn beams, barn doors and wide plank hardwood flooring! Chef&apos;s kitchen equipped with Carrera marble counters, huge center gathering island, handcrafted cabinetry, soft close drawers & upscale stainless appliances! King size owner&apos;s retreat on the main w/decorator spa bath right out of a magazine! Split staircases lead to 2 additional generous suites too! Finished terrace includes rec & billiard rooms + guest retreat! Massive screen porch has breathtaking views of pool & pond!